This model has 3/8" shaft and bore. 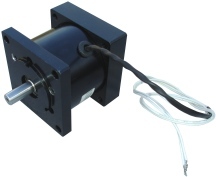 We have another NEMA 34 model that has 1/2" bore and shaft. To view info on that model, click here .